Tuffy Captain Kurklops is a tough, soft, floating fetch toy. Here's an awesome 8 legged alien looking for a furry mate. Fly him through your backyard galaxy and your dog will race to apprehend him. 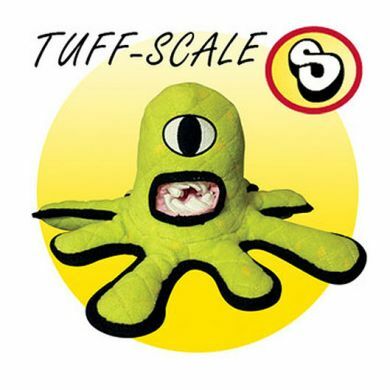 All Tuffy Toys are known for their strength and at 8/10 on the Tuff Scale this one is pretty tough. The size of this other worldly toy is 38 x 38 x 20cm. What's great about the Captain Kurklops? Tuffy Toys are known as the most durable soft toys available. However, if your dog is a super determined chewer you should stick with our Toys for Tough Chewers. Some dogs are completely driven to destroy soft toys and you probably know if your furry mate is one of them. But, if your dog doesn't have a toy prey drive you should find that Captian Kurklops will go the extra mile for you. All the layers of this toy are bonded and sewn together make this soft toy tougher than most. Each seam is sewn multiple times for extra strength. Generally other toys on the market only have one seam to hold the toy together. Webbing is then sewn around the edges of the toy and then these edges are stitched together to make each toy Tuff. And the squeakers are sewn into secure pouches as an added layer of safety. 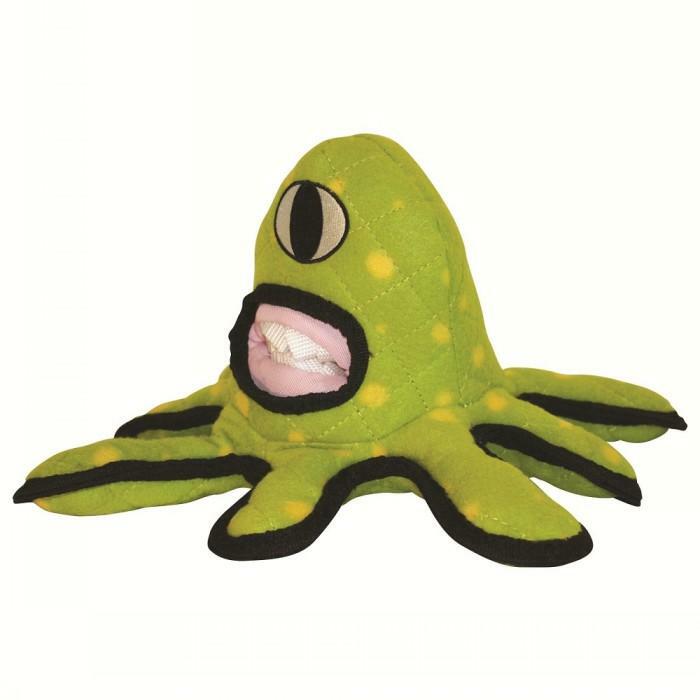 Read 2 customer reviews of Tuffy Toys Captain Kurklops. The average customer rating is 4.5. My dog is named Milo and she is a chocolate labrador who loves water. She loves Captain Kurklops the only downside is that when it is wet it is very heavy. Great fun toy, my dog 'Appy and I totally love it.